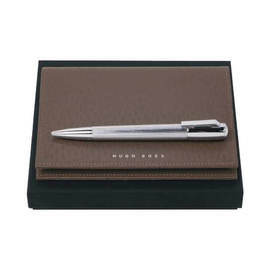 Premium quality leather pen pouch from the Hugo Boss 'Prime' range. 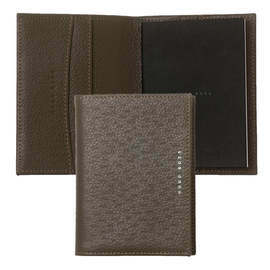 'Camel' coloured leather is dusky brown with a grain-like texture. 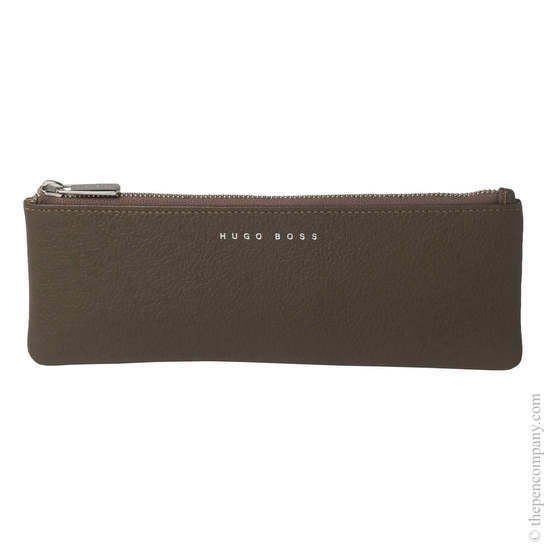 The front of the pouch bears the Hugo Boss logo in silver. Contrasting stitching enhances the zip closure border. Presented in a matt black Hugo Boss gift box.